JOPO is known as one of the finest saxophone-players in the world, especially with the alto sax, but also as bass clarinet player. However, he started his music career as a brilliant bass-player, while the piano always and naturally accompanied his life on a daily basis – in private moments, concert-shows, multi-media-events, and in the work with his students. His knowledge about harmonies lets him handle scales with astonishing creativity – we call them "JOPO-scales" – and his rhythmic feeling is profound and spacious. He has always been a strong duo-partner – especially in our "Duo fatale" – and listening to his piano-playing is like witnessing a dialogue between his left and right hand, their singing and their talking to each other: it's pure communication, reaction, interaction and inspiration. Listening to his music, you may suddenly find yourself reminded of Bartôk, Monk or more contemporary music, but also Jazz or worldwide music. 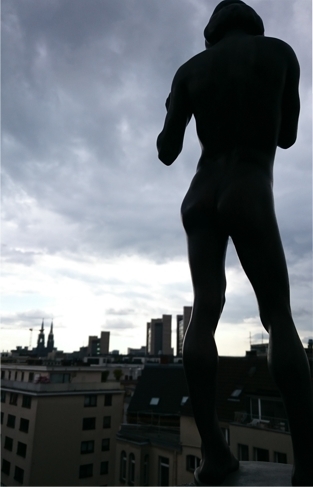 After again meeting the world's biggest piano M370i by David Klavins in 2014 in Tübingen (and knowing it since 1984) it's been a pleasure for us having this very special sound now with us by using the plug in "THE GIANT" by NI. 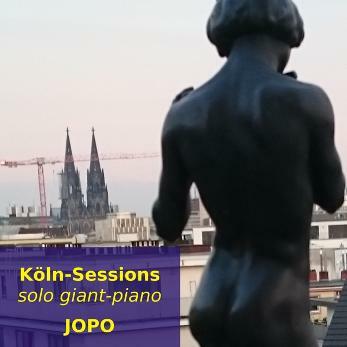 In gratitude for this oppurtunity we proudly present the "Köln-Sessions" by JOPO.